﻿ Best Price on Spanish by the Sea - Puerto Viejo in Puerto Viejo de Talamanca + Reviews! Spanish by the Sea - Puerto Viejo is just 200 metres from the beach and a 10-minute walk from central Puerto Viejo. It offers tropical gardens, hammocks and a communal kitchen and TV lounge. 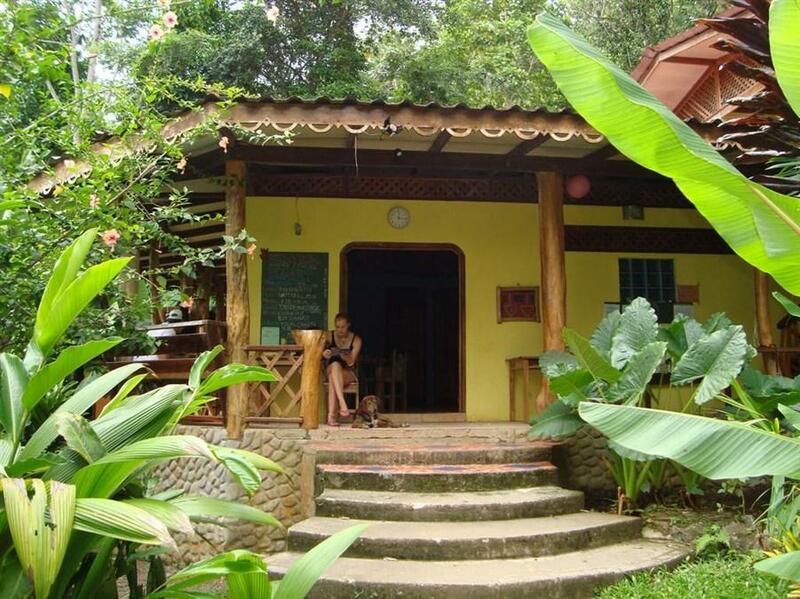 The Spanish by the Sea - Puerto Viejo hostel features private rooms and beds in shared dormitories. All include free Wi-Fi and functional décor. Bathroom facilities are shared. Guests can use the free computer in the lounge, while the front desk offers a free safe and information about the surrounding area. Breakfast is available at an extra cost. Bars, restaurants and shops can be found within a 5-minute walk of Spanish by the Sea. The Cahuita National Park is 700 metres away, while San José is around a 3-hour drive away.